In today’s episode, the elimination of the second princess gave her a last right to make a final decision by the book of fortune. Host Ranvijay Singh revealed the same. He told that whosoever princess would be dumped, she will get the right to choose a new queen and will share all the responsibilities equally with Martina. However, Martina found this decision unfair while rest of the contestants kept their fingers crossed. The name will be revealed later tonight and will be updated soon. Update: Rajnandini becomes the second queen. A source from the sets revealed that it was a very tensed moment being a crucial decision to be made. All the princesses wanted to become the queen. The princess getting eliminated took her time to think whom she found fit. Update: Queen dumped princess Mayuri and she chose Rajnandini to become the queen. Shreeradhe, Mayuri, and Rajnandini landed into the dumping zone. There was a twist, and it was that the boy who stands up to save his connection will himself has to land in the dumping area. Karan Chhabra stood up and saved Shreeradhe. Also, during a task Isha and Mayuri Das had a strong argument which turned into an ugly fight as Isha made a racist remark. However, the hosts were quick to make it clear that they will not allow such comments on the show. Also, the rest of the candidates didn’t know that Queen Martina has access to a special TV via which she can watch all the activities in the villa. So, when contestants played nasty during a task, she came to know everything. Martina got really upset seeing the behavior of the other princess tagging her with the placard. Splitsvilla 9 Episode 9. 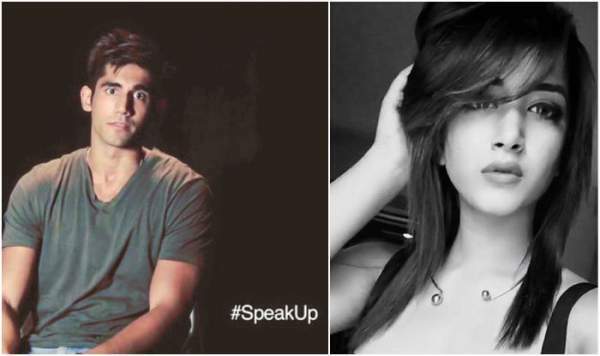 Varun Sood, the connection of Martina also got upset with the situation. He said that the contestants should know that there is no need of body shaming, and the reality tv shows are meant to entertain and not to make such negative statements and remarks on each other. Then, came the golden bracelet task in which three princesses got to choose three boys and the remaining three would go to dumping zone itself. Varun, Archie, and Aditya went to dumping ground straightway. Splitsvilla 9 Episode 9. It was named as the “Hasi Toh Phasi” task in which boys had to build a tower on their partner’s abdomen. The three unsafe boys had to make the girls laugh. Hosts and the queens enjoyed the task to the fullest. Shreeradhe and Karan turned out to be the winner. Thus, Shreeradhe got the golden bracelet, i.e., the power to dethrone anyone queen. Let’s see who gets dethrone and eliminates in the next episode. MTV Splitsvilla 9 Episode 9 is to air tonight, Saturday at 7 pm on MTV India, Don’t forget to share it on social media sites like facebook, twitter, google plus, etc. with other fans. Stay tuned to The Reporter Times for the latest news and entertainment updates around the world.